Although the recent recession created a drag effect on the long-predicted wave of Executive Director turnovers, 67 percent of EDs say they anticipate leaving their jobs within five years and seven percent have already given notice. Loss in retirement savings, a shrinking job market, organizational instability, and perceived lack of a successor are some of the key reasons EDs have held on to jobs they’d planned to leave before the financial crisis, according to a new study. More than 3,000 executive directors participated in Daring to Lead 2011, a recently published study on nonprofit executive leadership produced by CompassPoint and the Meyer Foundation. The study focuses on the role and experience of EDs in the last few tumultuous years, and the implications of the generational handoff for the nonprofit sector. Despite slowing with the recession, projected executive turnover rates remain high. According to the findings, most Boards of Directors are under-prepared to select and support new leaders. Only 17 percent of organizations have a succession plan, a sign that leaders are reluctant to talk proactively and honestly about the future. Even more problematically, say the authors, most Boards have little understanding of the complex roles and responsibilities of their EDs. They also don’t embrace performance measurement as a way of engagement. Forty-five percent of EDs did not even have a performance review in the preceding year, and of those that did only a third describe it as very useful. 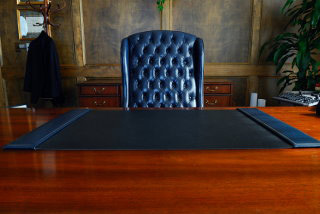 Ongoing Board involvement and support for new executives beyond the hire is one of the chief ways that Boards can help their organizations, especially when a new ED is brought into a financially unstable situation. What else does the sector need to effectively manage transitions? We’ll bring you more findings on and recommendations for addressing chronic financial instability and unsustainable financial models from Daring to Lead in our next post. In the meantime, check out the site for briefs, data, and discussion forums.